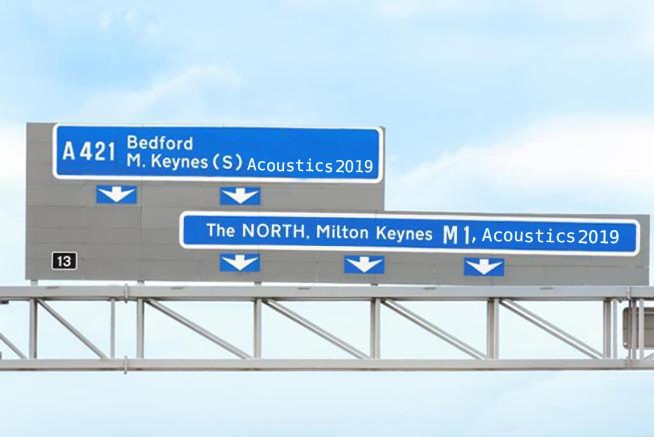 MILTON KEYNES, famous for roundabouts and being as close as you can get to an American style city in the United Kingdom, is about to go through a major soundscape live evaluation on 13 – 14 May when Acoustics 2019 takes place at the DoubleTree by Hilton in Milton Keynes Stadium. 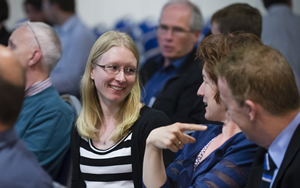 Acoustics 2019, the UK’s largest annual conference on acoustics, will run a ‘live’ lab on the real time evaluation of positive and negative urban soundscapes upon a modern cosmopolitan city. The Institute of Acoustics (IOA), in partnership with Milton Keynes Noise Assessment Committee (MKNAC), will be transmitting live recordings in real time during the two days to constantly measure sound levels and identify both positive versus negative sounds that are taking place. More than four hundred and fifty remotely activated recording devices will be placed in the field (all fitted with the latest anti-theft security devices, of course). In the evening on May 13, MK Stadium will host a live performance by internationally acclaimed, The Acoustics. T-shirts and CDs will be on sale, featuring the recent hits ‘Recording in the Wind’ and “The Sound of a Modern Bulldozer.” These are also available from WH Smith and Domino’s Pizza, who will be offering custom-made pizzas featuring a specially created IOA topping by top Domino’s chef - Domingo. If that isn’t exciting enough, the IOA is also proud to unveil for the first time a brand new interactive experience – a live virtual reenactment of iconic pioneer Wallace Sabine’s acoustic renovation of the Fogg Lecture Hall in Harvard, USA. To be part of this exciting live experience and conference, contact fools@ioa.org.uk, visit the IOA website (bookings for the Sabine interactive experience will go live in April) or contact us at IOA head office, Milton Keynes, quoting ‘AprilFools.